Money Monsters are cute little monsters that love Change! 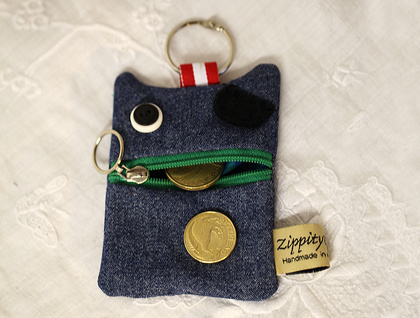 They love devouring small coins and storing them in their bellies! Simply unzip their mouths to feed them and one zip and their lips are sealed. Some of the monsters fancy themselves as Pirates ( you can spot them easily - they are the ones with a pirate patch over one eye- under the patch is an embroidered cross where their missing eye used to be). Pirate Money Monsters are particularly fond of gold coins! Fun gift for kids small or big. Great stocking filler for Christmas ! 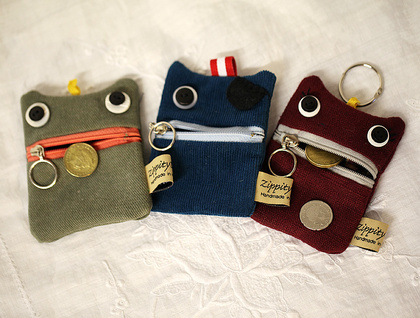 They have a clip ring at the top of their heads so they can easily be attached to a bag, trouser loop or key ring. Eyes are made from upcycled buttons. 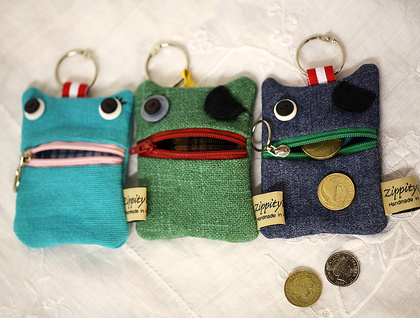 I have money monsters in different fabrics, colours and some in pirate, two eyes, one eyed and even three eyed. Please specify if you would like pirate, boy, girl or have a colour preference when you send through your details. I have more than one available.